Michael Keaton (Michael John Douglas) is an American actor, producer, director, and former comedian that was born on September 5, 1951 in Forest Grove, Robinson Township, Pennsylvania, USA. He was born to civil engineer and surveyor father, George A. Douglas and his mother; Leona Elizabeth was a homemaker. He is the youngest of his six siblings and was raised in a Catholic home/family. He is 5' 9" (1.75 m) and is from Irish, English, Scottish, Scotch-Irish, and German ancestry. He attended Montour High School in Pennsylvania and studied speech for two years at Kent State. He later dropped out of school and moved to Pittsburgh. He later moved from Pittsburgh to Los Angeles, California because he wanted to audition for various parts. He landed roles in Maude (1977) and The Mary Tyler Moore Hour (1979). He realized that he shared the same name with another actor Michael Douglas and daytime host Mike Douglas. He then decided to change his name so that he can be singled out and to satisfy SAG rules. 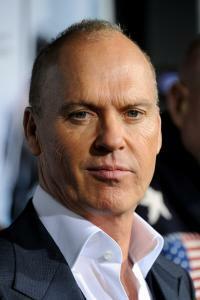 There was rumors that he changed his name because of an attraction to actress Diane Keaton, but that is not true. He chose to change his last name to Keaton because of his love for the physical comedy of Buster Keaton. Michael is known roles in Night Shift (1982), Mr. Mom (1983), Johnny Dangerously (1984), Beetlejuice (1988), Clean and Sober (1988), The Dream Team (1989), and as his role as Bruce Wayne/Batman in Tim Burton's Batman (1989) and Batman Returns (1992). He went on to having roles in Pacific Heights (1990), Much Ado About Nothing (1993), My Life (1993), The Paper (1994), Jackie Brown (1997), The Other Guys (2010), Need for Speed (2014), RoboCop (2014), Pixar Films' Cars (2006) and Toy Story 3 (2010). Michael started working as a TV cameraman, and production assistant at public television station WQED (TV) in Pittsburgh after stand-up comedy did not work out for him. He first appeared in “Where the Heart Is” and Mister Rogers' Neighborhood (1975). Michael was chosen to reprise the role again for the third Batman film. He showed up for his costume fitting but did not want to pursue his role because Tim Burton was dropped as the director of the movie. Michael left the franchise because he was not happy with the new director Joel Schumacher's screenplay. Warner Bros. offered Michael $15 million to continue with his role, but he refused and was replaced by Val Kilmer in Batman Forever (1995). Michael married actress Caroline McWilliams in 1982 and divorced in 1990. They have one son, Sean Maxwell Douglas, who was born on May 27, 1983. He dated actress Courteney Cox from 1989 while still married to Caroline and ended his relationship with Courtney in 1995. He lives on a ranch in Montana. He has a home in the Pacific Palisades, ranches in Santa Barbara, California and a 1000 acre Montana ranch where he raises cattle and grows hay. His ranch in Montana has four-bedrooms and is a cedar-and-stone ranch home. Michael is such a huge Pittsburgh Pirates fan that he negotiated a break in his Batman movie contract to leave filming for a small amount of time if the Pirates made the playoffs that year. He wrote an ESPN blog during the final months of the Pirates 2013 season regarding the Pirates. He is often seen at Pittsburgh Penguins games and is a Pittsburgh Steelers fan. He loves to fish and is considered a fisherman since he can be seen on the saltwater fishing in TV series Buccaneers & Bones on the Outdoor Channel. He also enjoys snowboarding, golf, and mountain biking, and riding horses at his ranch. - He serves as a scholar at Carnegie Mellon University's Entertainment Technology Center. 2014 - He won a Golden Globe Award for Best Actor in a Musical or Comedy and the Critics' Choice Award for Best Actor for his performance in Birdman (2014).